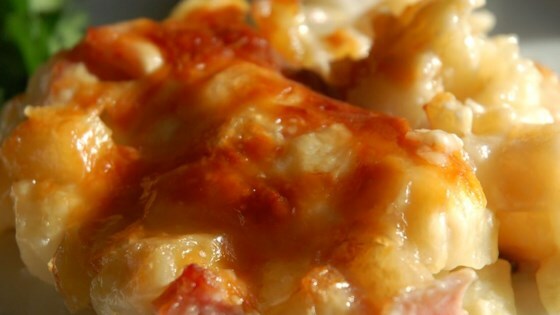 "I mostly use this as a breakfast casserole, but it's great anytime. May be served with or without diced ham. Quick and easy to make, not to mention delicious!" I may get kicked to the curb for saying this, but it was ok. I was a little surprised that there were no eggs in a breakfast casserole! It was good though, just not fantastic.